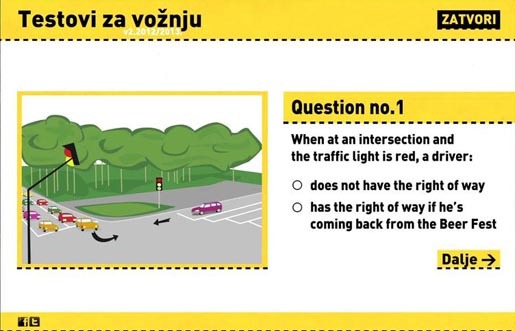 In 2009, the Serbian government announced a new system for driving training and testing. Three years and thousands of lives later, the new system still didn’t exist. Confidential driving tests leak to the public, resulting in young people only learning the leaked tests and not the entire range of traffic laws. 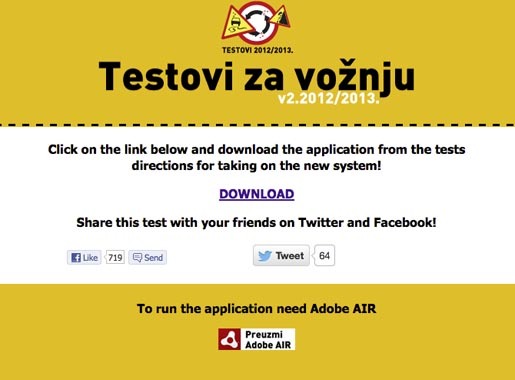 Leo Burnett created an app, downloaded online at testovizavoznju.rs, with real accidents videos and let it leak as the “new driving tests for the new system”. Within 48 hours, Ministry of Interior announced that the new system starts on October 25th. The New Driving Tests for the New System site crashed temporarily due to increased demand on bandwidth. The campaign won a Golden Drum (New and Innovative Campaigns), and three Silver Drums (Digital in Single Channel, Digital in Multi Channel and PR) at the Golden Drum Awards in Portoroz, Slovenia, earlier this month. 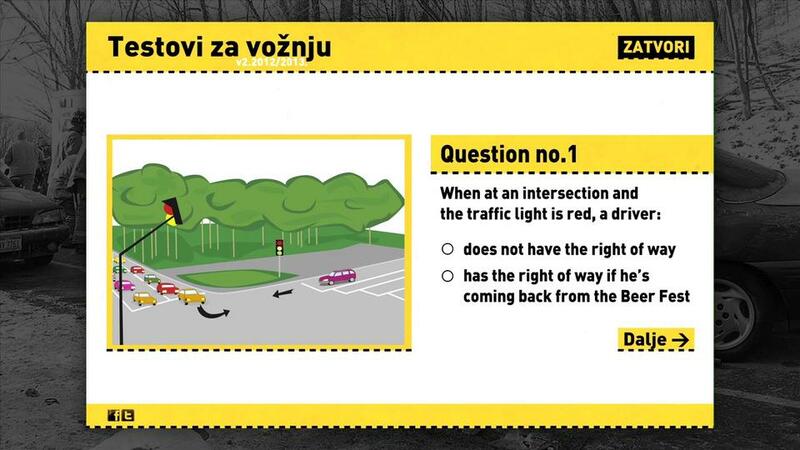 The New Driving Tests campaign was developed at Leo Burnett Belgrade, Serbia, by creative director Anja Radulović, art director Rade Šaptović, copywriters Predrag Simić and Đorđe Janković, illustrators Ivan Nedeljković and Ivana Radić. 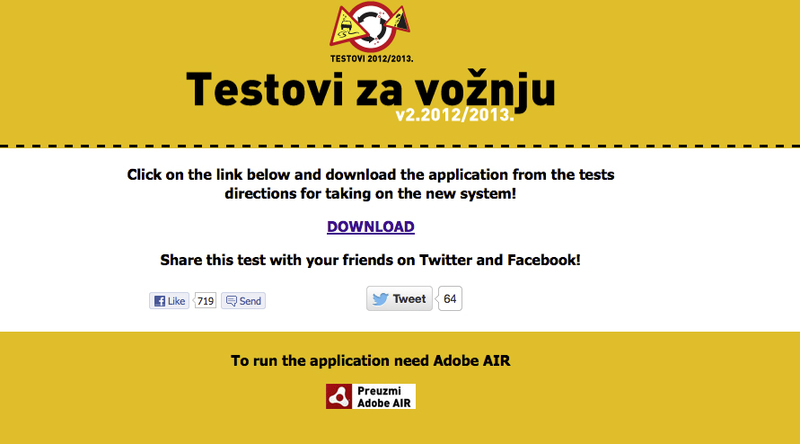 The New Driving Tests app was developed at Omnicom Solutions, Belgrade.